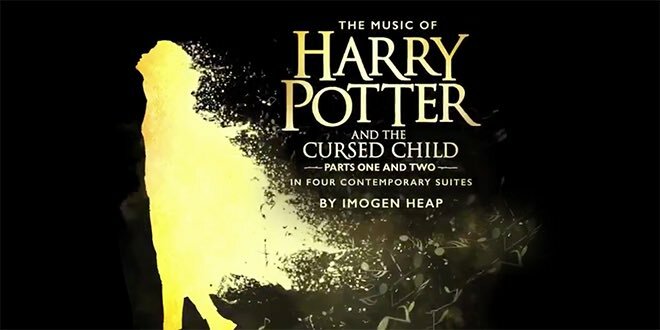 Last night, we were lucky enough to spend an evening at the home Harry Potter and the Cursed Child on London’s West End, The Palace Theatre, listening to composer Imogen Heap and director John Tiffany discuss the upcoming album The Music of Harry Potter and the Cursed Child, ahead of its release on November 2nd! 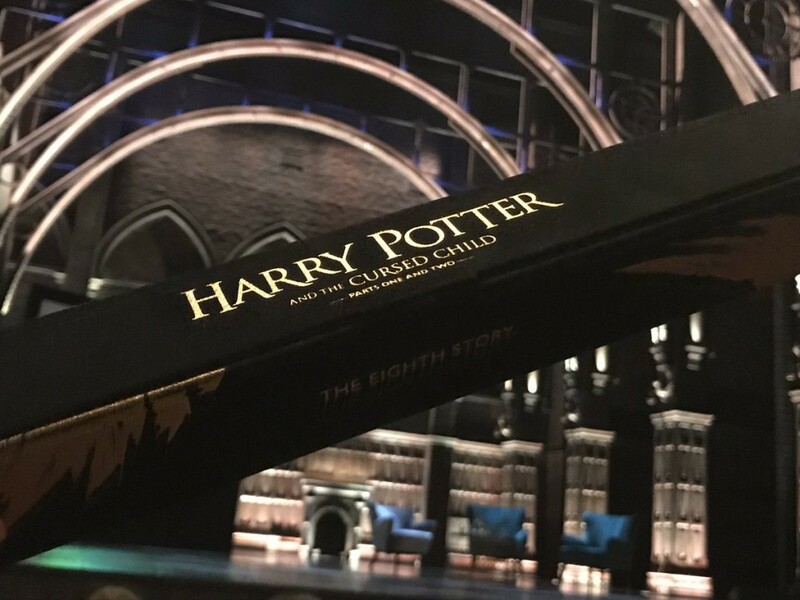 Arriving at the theatre, we were greeted by Cursed Child Hogwarts house banners and album badges, whilst being reminded to #KeepTheSecrets – so rest assured you’ll see no spoilers! She says that all Hoggett told her at first was that the play they’d like her to be involved with was ‘about a boy with a scar’, but from that Imogen guessed, of course, and after Googling ‘Hoggett Harry Potter’, saw that he’d said a few years previously that they were thinking of bringing Harry to the stage — then she was super excited! 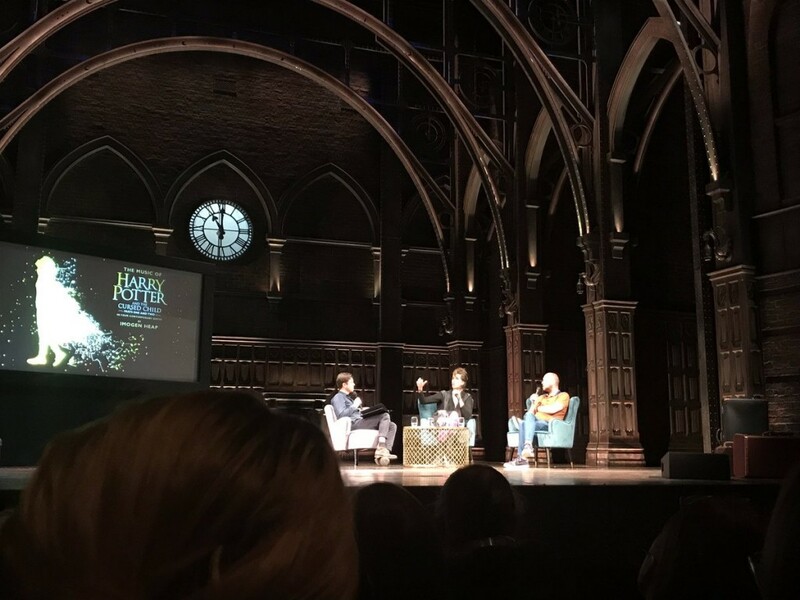 Explaining the sound of the music in Cursed Child, Imogen explained that they wanted something very different to the films. 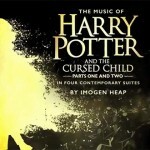 The music of the play is actually adapted from music Imogen originally composed, but altered for the play – the first track we heard, for instance, was sampled from an existing track, First Train Home, and though Imogen didn’t realise just how meaningful it was to choose this track to adapt for the opening music of the play at first, she says that it must have been a subliminal choice, as the lyrics and sound work perfectly! 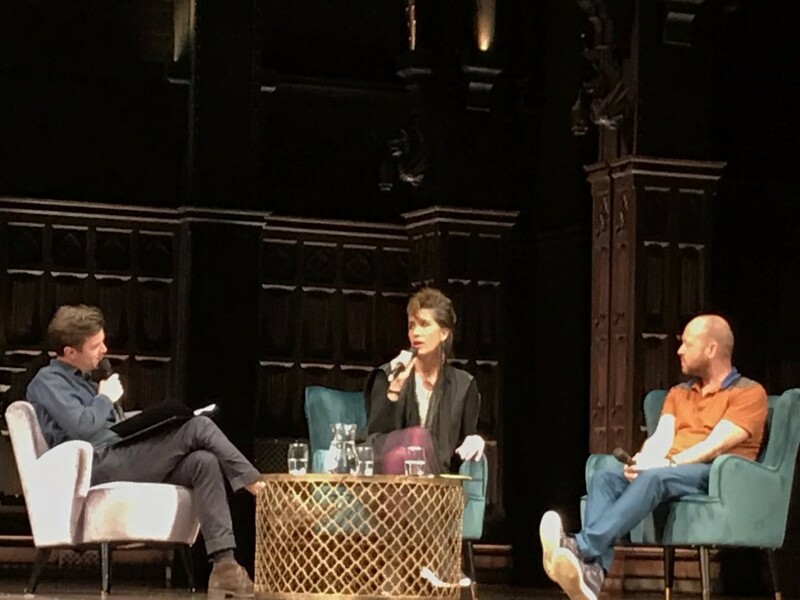 ‘I found that one quite hard – it is the first song.’ Imogen Heap commented, on the pressure of creating the first track. ‘We’re almost in stasis as the audience comes in–the release of that stasis is the start of those chords – it needed that ‘whoosh’ to start us off on our 5 hour journey!’ says John Tiffany. 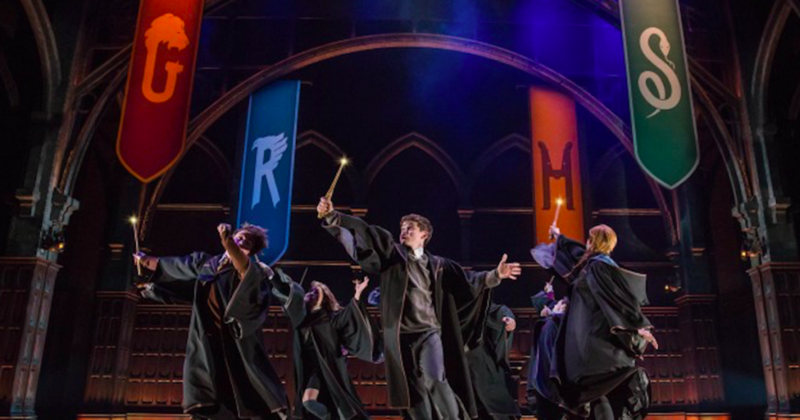 The next song from the album – Wand Dance – is sampled from Imogen’s album, Sparks, from a song called Cycle Song, and goes well with the clumsy movements of students learning to cast spells – ‘It has an awkward quality to it’, says Imogen. ‘It’s such a different process to scoring a film… your work properly starts when the picture is locked off. Here everything happens at the same time. We’ll start a sequence then come back to Imogen. ‘I’m my own worst enemy in the studio, but here there’s things to help you out – whether it goes with the script, or scene, or the lighting,’ She explains. ‘The worst thing in the world is a blank canvas’. 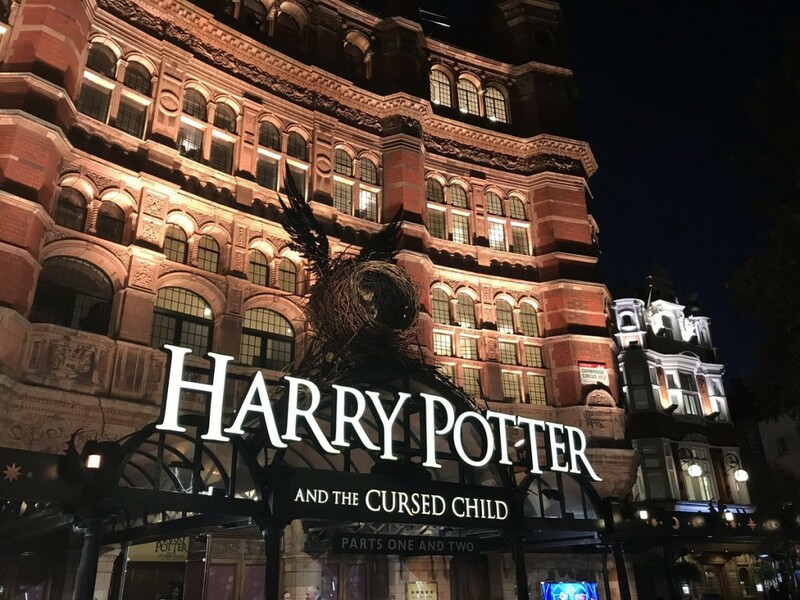 ‘It made such a difference to be in the theatre, in-situ – eventually my family camped nearby. I was mixing, editing, singing vocals until 11 at night’. 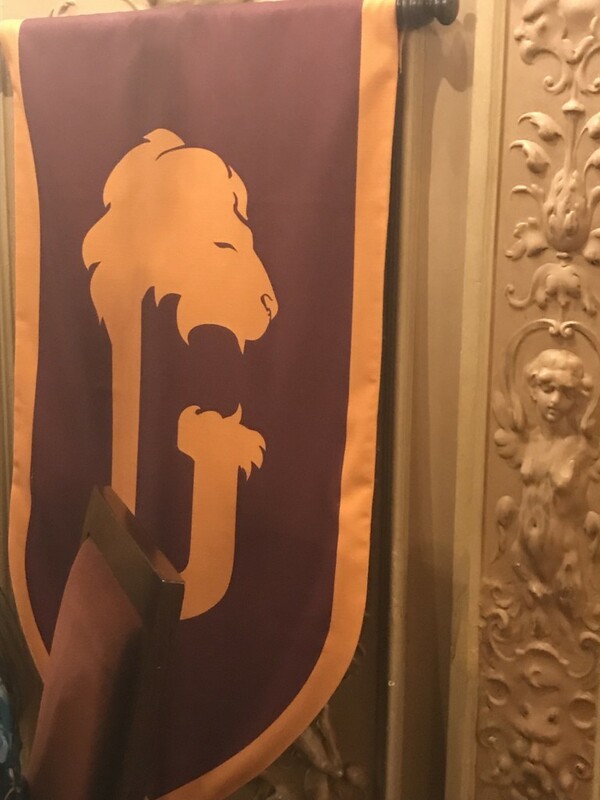 Forbidden Forest, the next song we listened to, is the first time we hear a full orchestra in the show, as well as a choir (which is intended to sound like a choir at Hogwarts!). 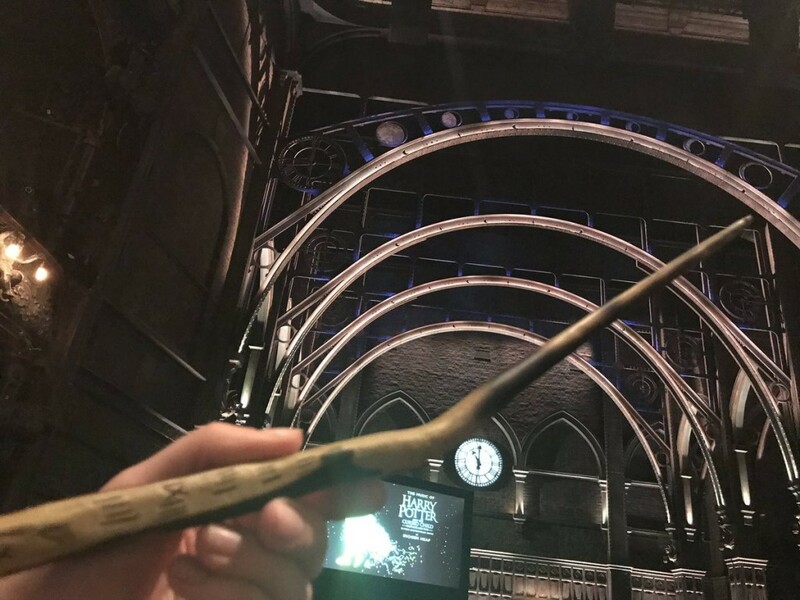 It has a haunting, etherial sound which creates a sense of real space – obviously important when trying to evoke the atmosphere of the huge trees of the Forbidden Forest on stage! 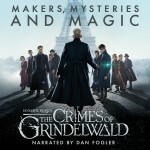 John says the set design and music come together in this scene to ‘create the flora and fauna of the Forbidden Forest’,. 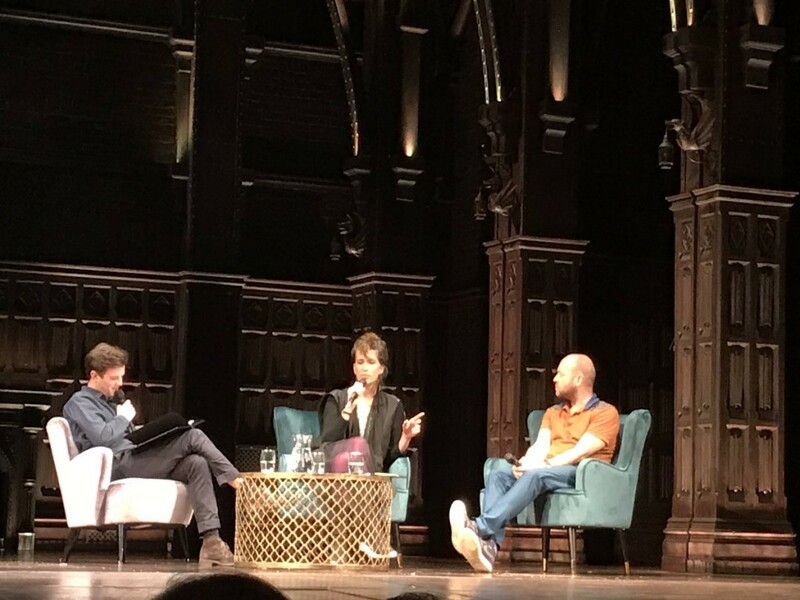 Explaining that the album stitches together suites, smaller cues (or moments from the play), Heap explains that we’re hearing cues from Forbidden Forest, sampled from ‘Beauty’, which Imogen sang at Royal Albert Hall. The track moves into more brassy, triumphant sounds as the scene moves to ‘a tournament of sorts’ – Imogen says it’s ‘very prominent, with bass sounds and cymbals’. Imogen says for ‘World of Darkness’, she took the heaviest drum sounds she could to create darker and more intense sounds, sampling from a track called ‘Headlock’ and intensifying the drumming sounds to create a sense of danger. “We want to scare people, don’t we?’ says Tiffany, on the action in Part 2 of the play. Imogen agrees. 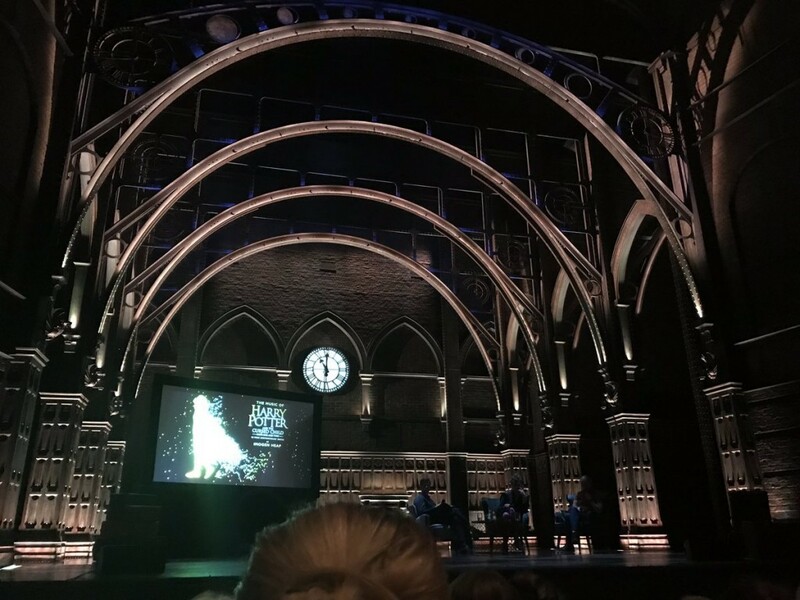 Half Life was one of the first tracks they worked with, and helped shape the Hogwarts of the play – it’s set on the staircases during the track Staircase Ballet, and is about being apart from somebody (#KeepTheSecrets). Imogen created this with an artist who uses trumpets, but makes them sound like a flute with some talented wizardry! The next track we heard, In Trouble Again, is sampled from SeaShell and the Clergymen – an a Capella commission from the first surrealist film in the world. Imogen worked with ‘software instruments’ (which she refers to as her ‘box of tricks’) — basically a digital software which lets you use the sounds of various instruments. Using this, she was able to “Imogen-ify” the music, and add her own vocals (and a choir!). 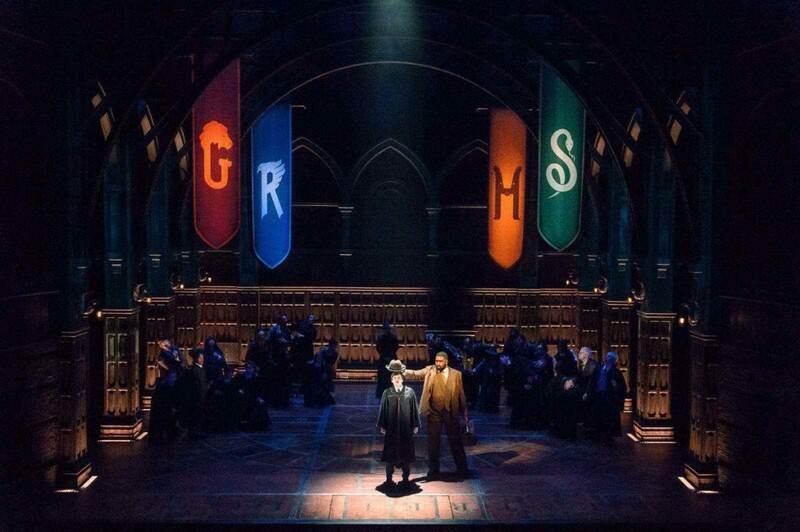 As the piece intensifies, you get a sense of the movement on stage, it’s beautiful, busy and fills the theatre with magic! 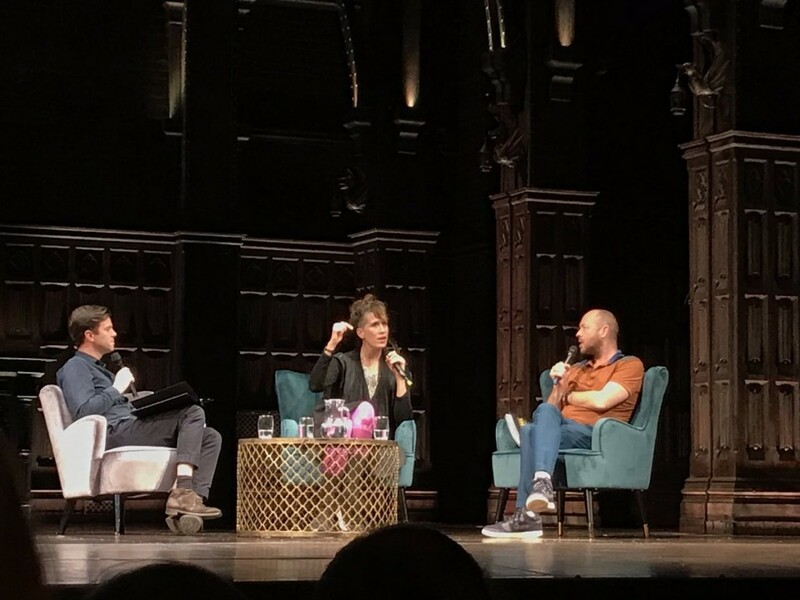 The discussion closed with the final track from the play, Goodnight and Go, which Imogen admits she didn’t actually like at first. 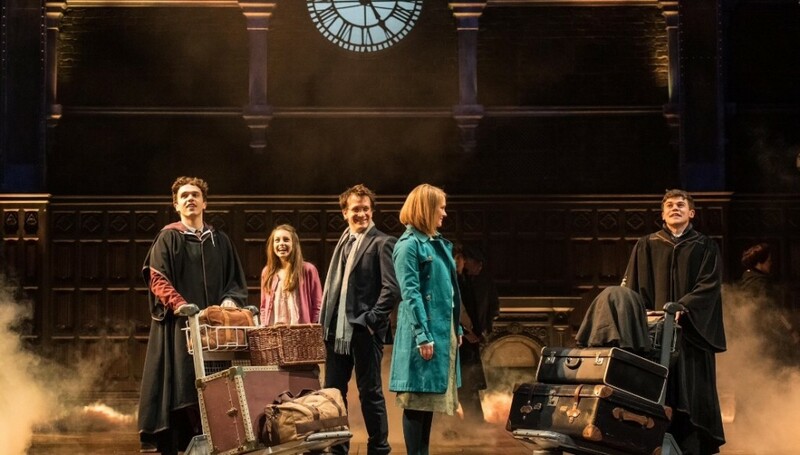 She ‘didn’t want to end on a major chord’ (and in the recording she actually has added a hint of a minor), but now says that she thinks it fits well, and ‘has a good energy for the final scene’ of the play. We’re sure everybody will love it as much as we do! We had such a wonderful evening at album launch, and can’t wait for everybody to be able to listen to the album in full. Find out more, and pre-order the album ahead of its release on November 2nd by clicking here.